This week has felt ridiculously long, and I can’t wait for the 70 degree weather this weekend. While Jesse cannot yet return to his normal activities, he received some good news yesterday – he’s healing, and if everything continues in this direction, he’ll be able to add more activity into his life (walking, swimming, upper body weights) after his next appointment on March 16. During my run this morning, I thought about how fortunate we are to live in such a beautiful place (while the rest of the country freezes) and for Jesse’s positive prognosis. Although it’s been heartbreaking to see him so frustrated with his sedentary life this past two weeks, I know he’ll be back to normal before we know it. 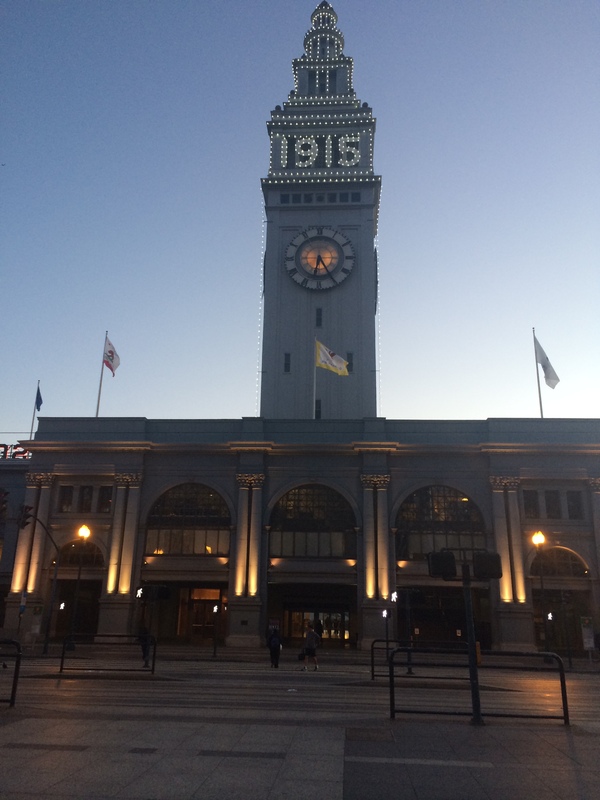 The Ferry Building is celebrating the 100-year anniversary of the World’s Fair. 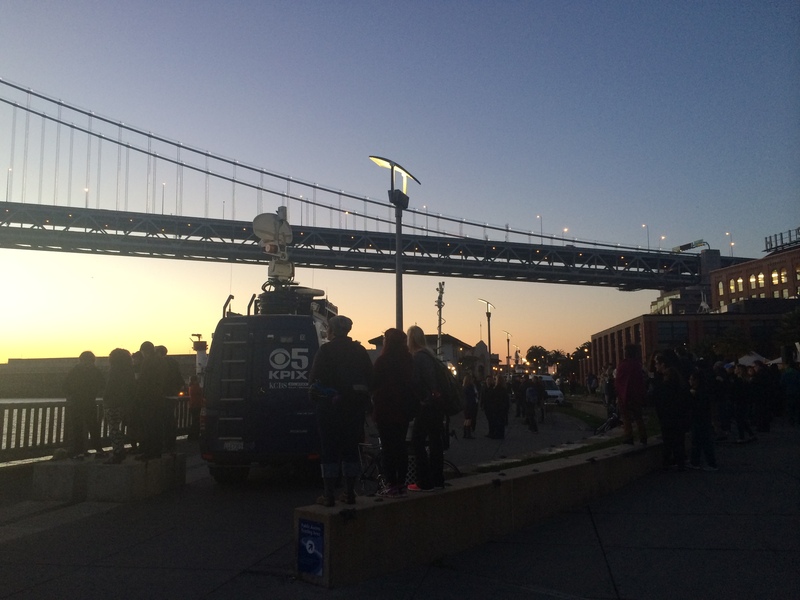 We’ll miss you, Bay Lights! They’ll be back next year. 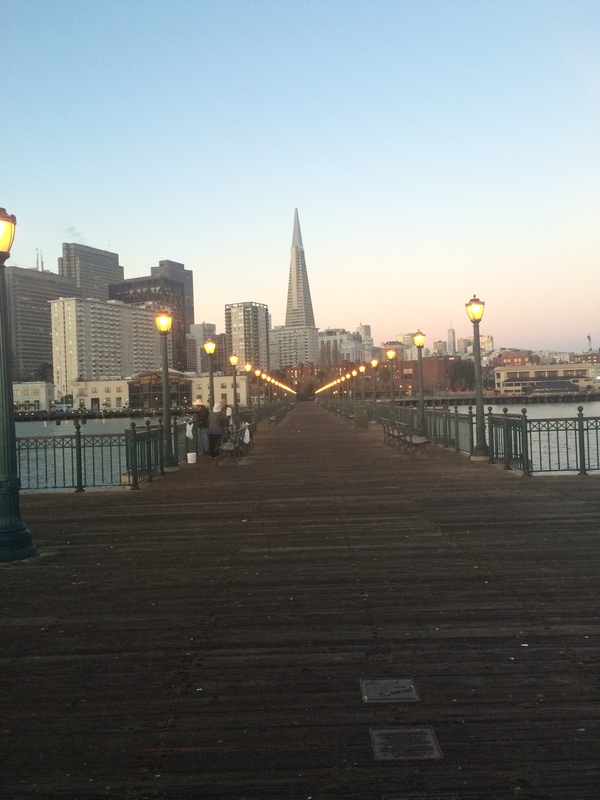 Beautiful view of the Transamerica Pyramid. Gorgeous! You’re right, you are very fortunate! It’s always nice to take a moment to practice gratitude, stop and appreciate the good things where you are – no matter where that may be. So glad for Jesse’s good news! Great views!! Yeah this week was a long one, bring on the weekend! Glad to hear Jesse is healing, have a great weekend! Thank you Sarah! he is quite a trooper. Glad to hear that he’s doing better. 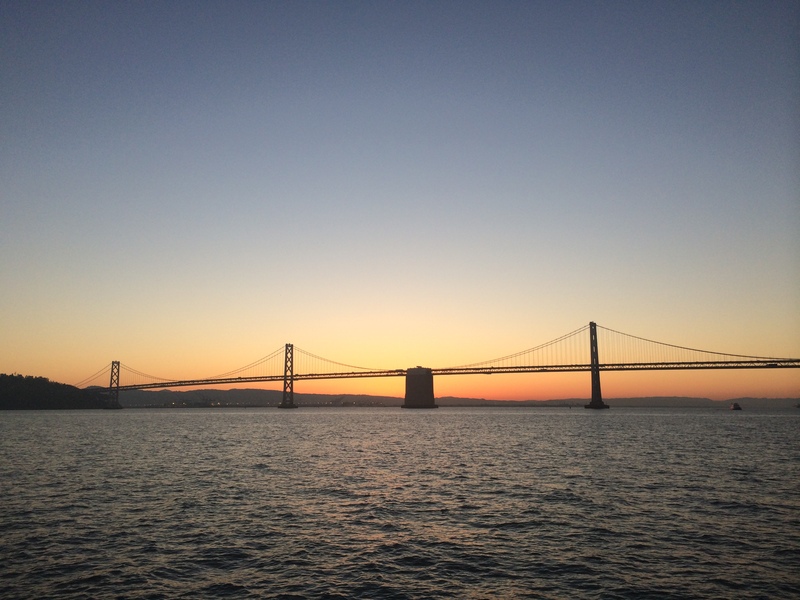 And you’re right San Francisco is a beautiful place – lucky you! Thanks! I love living here. You definitely do live in a beautiful place! It’s great you’re able to call upon some of that positive energy during tough times 🙂 Sending healing thoughts for Jesse! Thanks Ariana! We hope he heals quickly. Great pics!! We were thinking the same thing today! Wow how did we get so lucky and have such a great (so-far) winter while the east coast is getting dumped on!! 😀 Jesse is basically superman. I hope you get there soon, Anna! Jesse has crazy cabin fever. Wow such gorgeous scenery! I wish I had so many beautiful things to look at on my runs. So glad to hear that Jesse is doing great! Spring is bringing all kinds of good news! Aww, I wish you ran somewhere beautiful too! I hope Baltimore gets all spring-like soon. Washington (state) has has great weather lately too! No complaints.